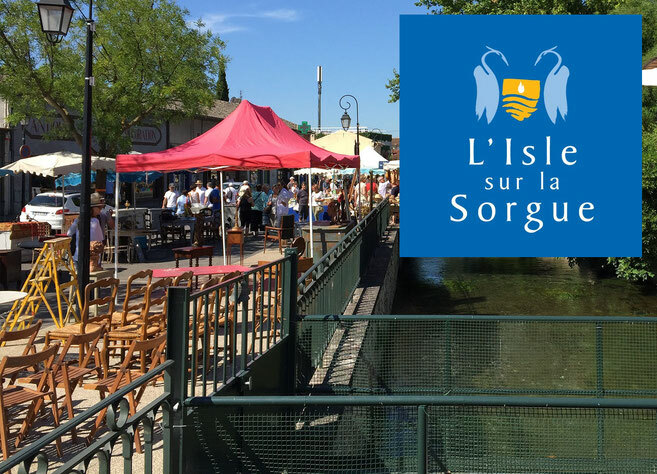 From March 30 to April 2d will take place the 104° edition of the antique fair of à l’Isle sur la Sorgue, entitled “Antiques Art & You”. 250 dealers will unwrap their treasures along with the 230 year-round residents. Different areas will help make a selection: contemporary art, design, decor, vintage… For those who can’t make up their minds, Monolithe Vintage has a selection of state of the art pieces back at The Hameau. Magnificent, and efficient. To follow up with Picasso, the new digital exhibition at the underground sound and light show Carrières de Lumières is dedicated to the cubist painter and other Spanish masters, such as Goya or Sorolla. These quarries are a regional must, just a stone’s throw away from the Hameau. The cultural season starts with a bang in the Alpilles with the Easter feria in Arles, placing the city under the sign of Flamenco, from March 30 to April second. Exhibitions, concerts, danse and street music (the infamous « peñas » and « bandas », all of wind instruments) encierros, (bulls running through the city along a selected path) Toros de fuego (fire bull, the traditional metallic or wooden bull covered in fireworks is walked through the streets at night) each corner of Arles will celebrate the event. It only takes to follow the sound of music and danses, wandering the streets of Arles to make the most of this cultural highlight. A few local institutions additionally offer top notch shows: the Andalouses Bull’s club will showcase a Flamenco danse show on April 30. Another favorite, the Auberge Espagnole, will showcase sculptures, ceramics, pictures and different artworks during the feria. Other than the Feria, Arles showcases in spring all sorts of events. The Méjean cultural center, close to the river Rhône and home of publisher Actes Suds, (whose Hameau’s bookstore should not be missed) exhibits the works of contemporary Korean artist Kim Tshang-Yeul, form March 22 to June 3. Concerts, readings, and the Arles Jazz festival will also happen there. Another local institution is the Réattu museum, which just celebrated 150 years of existence. Among a string of events, an exhibition of resistant and paintor Alfred Latour is a must, as well as a creative writing classes. The last days of the Jean Prouvé Exhibition should not be missed, at the Luma foundation, whose tower designed by Franck Gehry can be seen from afar. This exhibition is co-produced by the Parisian Galerie Patrick Seguin and gathers 12 removable architectural pieces created by Jean Prouvé between 1939 and 1969. A major event about the French master, that can be paired with a tour of the construction works of the site, which won’t be available for visit when the building is completed. On may 30 a major fashion event will take place at antique necropolis of the Alyscamps : Alessandro Michele, creative director of Gucci chose the place for the croisière collection fashion show. The flamboyant director, an art and history amateur, was charmed by the place, a major antique site which is said to have hosted Jesus himself, for the funerals of Saint Trophimus (Arles’ first bishop). Painted by Gauguin and Van Gogh, the site will now be celebrated in a rather pagan manner. A show to be followed on social media if you do not have booked a VIP sarcophagus seat. Last but not least, the exhibition « Soleil Chaud, soleil tardif » at the Van Gogh fondation, from April 21 to October 28. An unprecedented dialogue between the works of Van Gogh and Picasso. The comic fair of Aix en Provence will take place from April 7 to May 27. For this 9th edition, a new format will help the visitor to discover new horizons. Rather than a “regular fair”, the “Rencontres du 9e Art” has imagined a tour of events to see, meet, and enjoy more art.